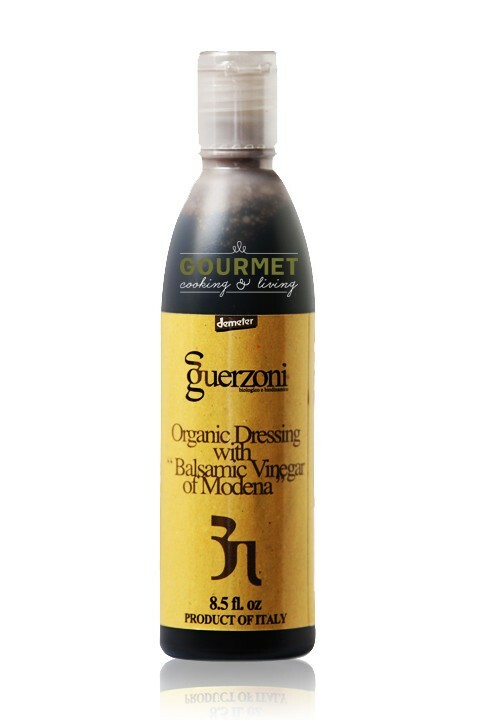 Produced from the combination of excellent cooked must and high density balsamic vinegar from Modena, it is notably different from other creams for its organoleptic qualities. Contains no preservatives or food coloring. The delicious sweet-sour flavor as well as the high density of the cream enable anyone to attempt complex garnishes. Try using on veggies seafood, meat, cheese as well as on ice cream and fruit. Organic grape must, organic balsamic vinegar, organic corn starch.